From Software has a stranglehold on our staff. Hey guys, whatcha playing? Many of us have already been consumed by Bloodborne, while the uninfected are enjoying games like Divinity, Warlocks vs Shadows, and Rival Turf. Here's what we're up to this weekend. Nick Puleo (@NickPuleo) - "Not much time for gaming this weekend, but I might dabble into some more Warlocks vs Shadows. " Danny Cowan (@db_cowan) - "I'm returning to the semi-decent SNES beat-'em-up Rival Turf. I not quite sure why. Jaleco, I can't quit you." Mike Katsufrakis (@Pheriannath) - "BUY ME BLOODBORNE, OR GO TO HELL! Also, Pillars of Eternity. " Andrew Gaskill (@cubninja) - "Charging R2." Marc Allie (@DjinniMan) - "My gaming group is meeting tomorrow, so we are playing Warmachine/Hordes, Star Wars Armada, some Magic Commander, and who knows what else. Also hankering for some Starcraft comp stomping!" Jason Love (@JLove55) - "Rapping some fools about the had and shoulders with my cane in Bloodborne, and diving into Life is Strange episode 2 co-op style ala Nick's article a couple months back." Locke Vincent (@LockeVincent) - "Getting my demon hunt on in Bloodborne. Slingin' spells in Warlocks vs Shadows, and if I play my cards right, time traveling back to 1996 and playing an Infinity Engine game called Pillars of Eternity." Tally Callahan - "Foraying into Pillars of Eternity. Other than that, maybe some CS:GO." Sam Tyler (@thereelsamtyler) - "I'm joining random co-op partners on the back of an elephant in Far Cry 4." Chris Metz (@The_Lemko) - "I'll be with my brothers this weekend, so Super Smash for Wii U sounds about right." 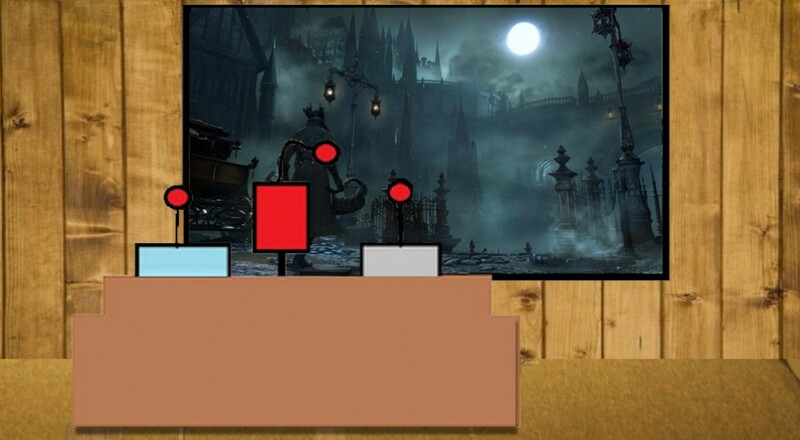 John Bardinelli (@itsamejohn) - "Watching everyone else play Bloodborne on their fancy next-gen things, then I'll probably shrug and pick up Dyscourse." Enoch Starnes (@enochstarnes) - "Streaming some Splinter Cell: Blacklist tonight! Divinity: Original Sin may feature as well." Taylor Killian - "It's a working weekend for me, but I'll try to sneak in a few runs of Spelunky while the boss ain't looking."